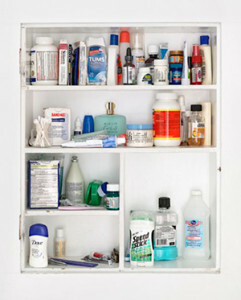 A medicine cabinet is a very helpful feature of your home especially when you have little children. You can never tell when an accident may happen and you just have to be prepared. You can either buy a brand new medicine cabinet to be installed in the most ideal place or recycle something you already have for this purpose. Fill it with first-aid kits and tools, and what you and your family will most likely need like vitamins, medications for coughs and colds, cotton balls, alcohol, adhesive bands and many more. Don’t forget to label prescription medicine just in case you’ll need them anytime. Mark them carefully with cheap labels online so as not to mix with other medicine. This entry was posted in Medicine and tagged medicine cabinet, what's inside your medicine cabinet on June 29, 2013 by Yami. This entry was posted in Health and tagged cure for common colds, treat common colds on June 24, 2013 by Yami.